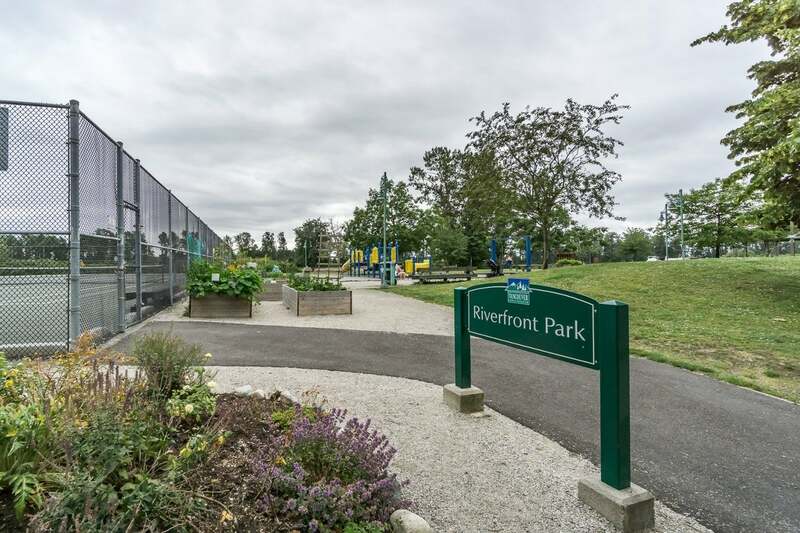 Riverside Gardens! 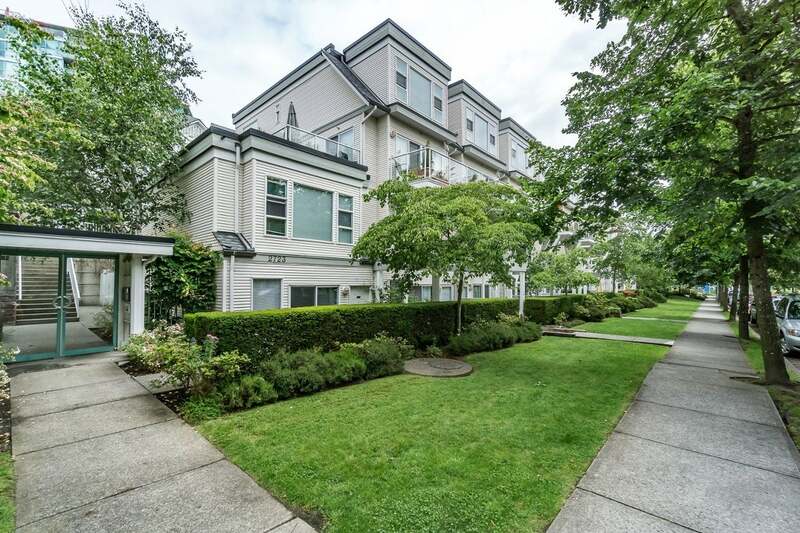 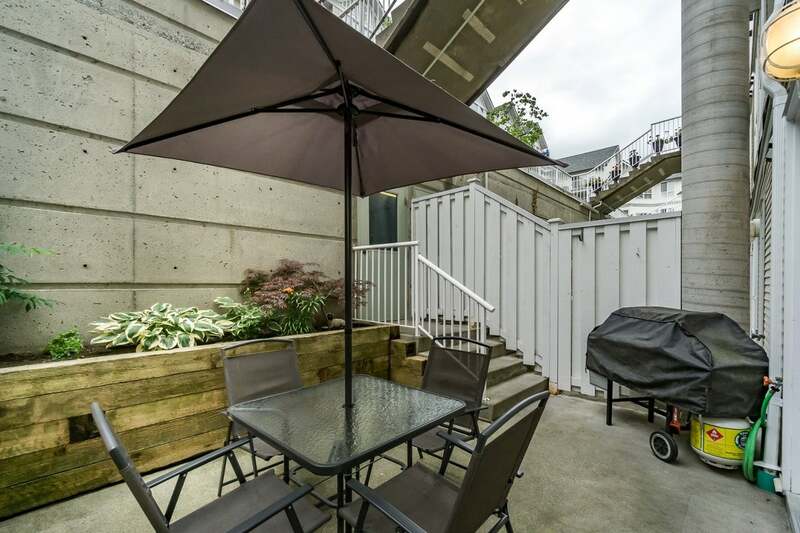 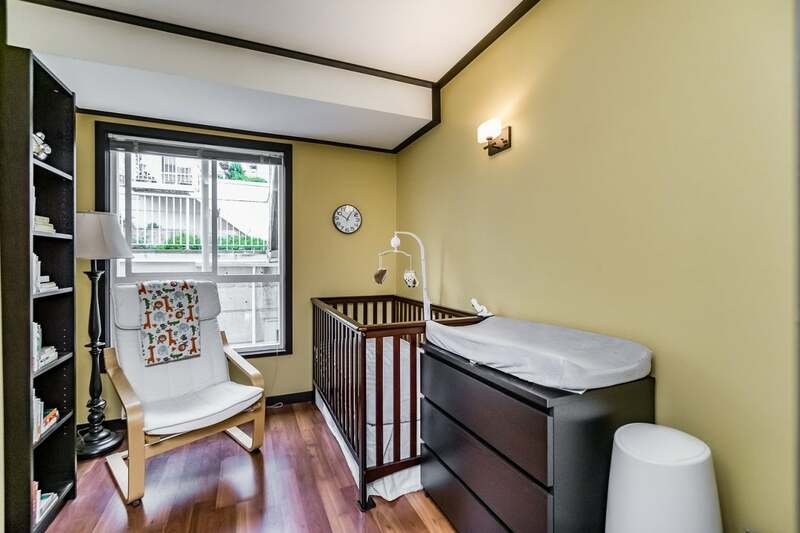 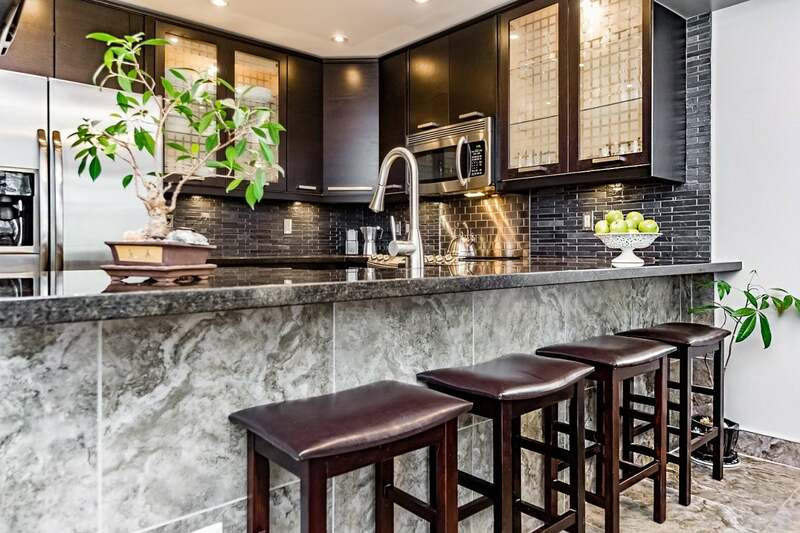 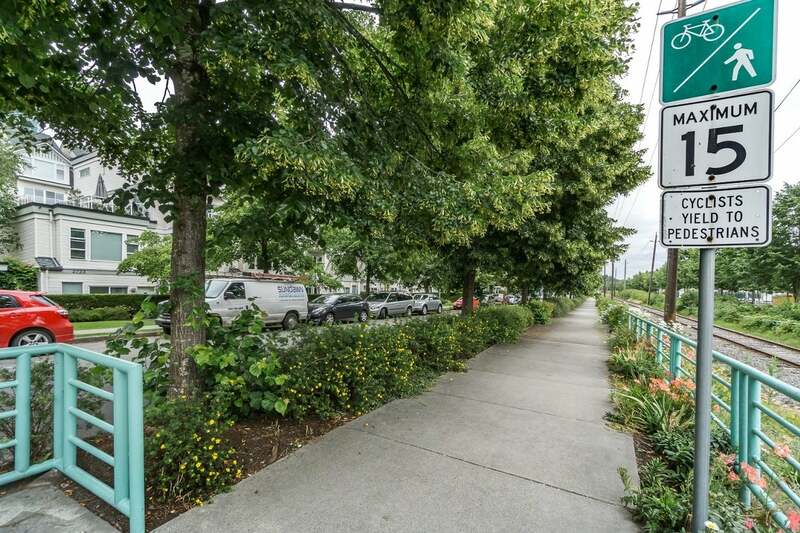 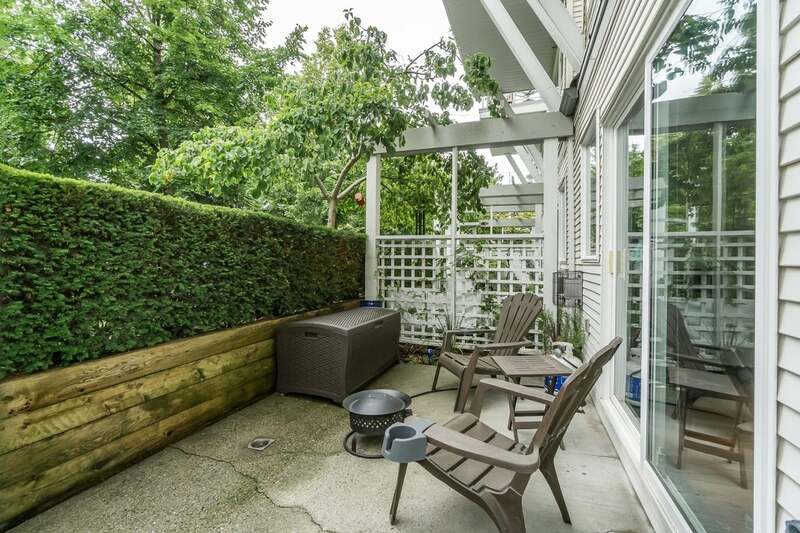 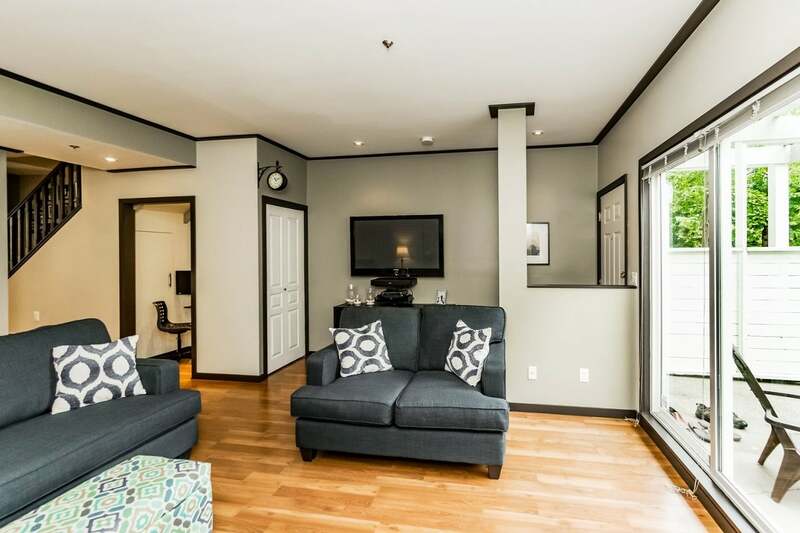 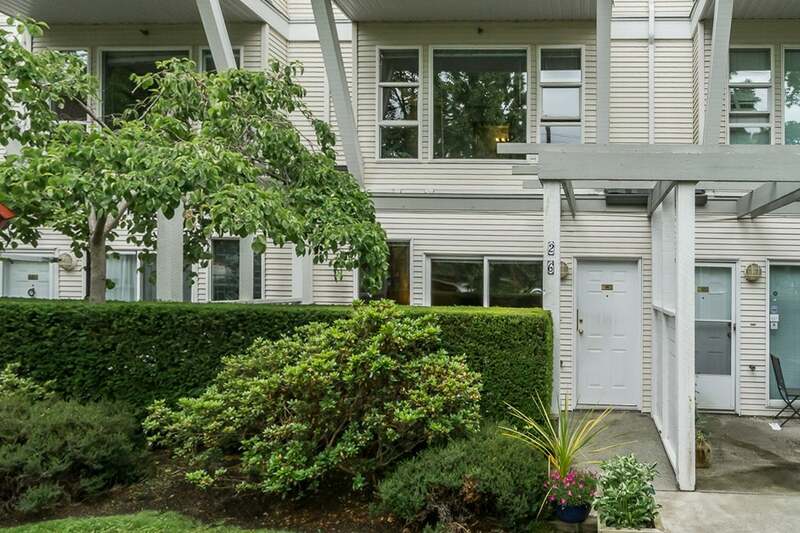 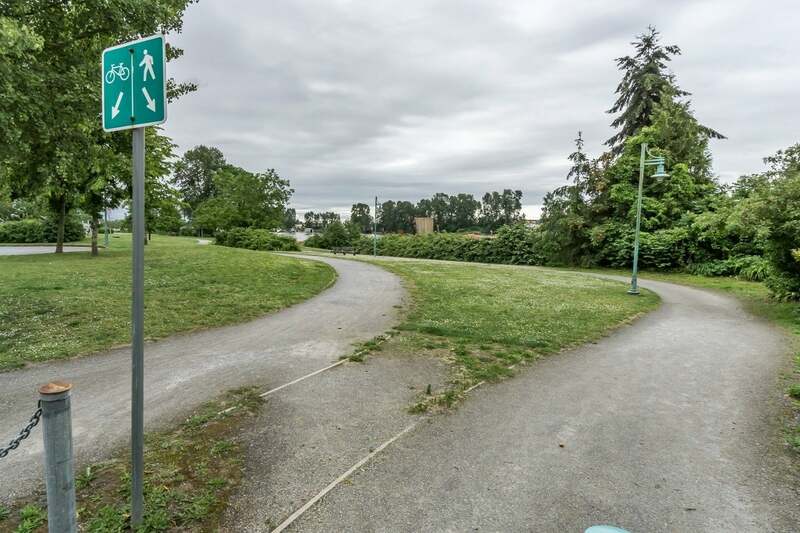 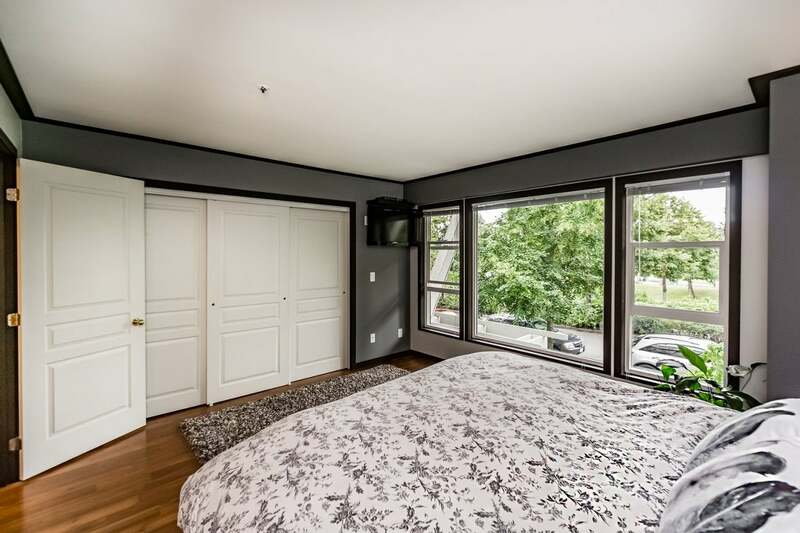 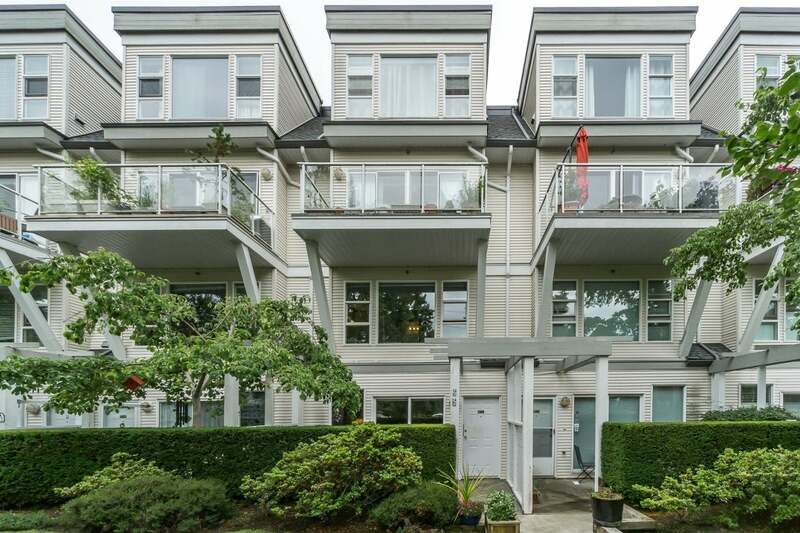 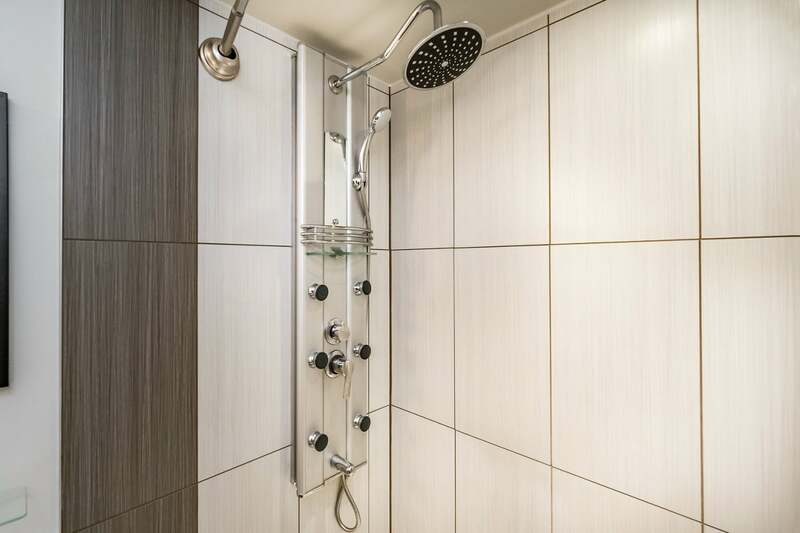 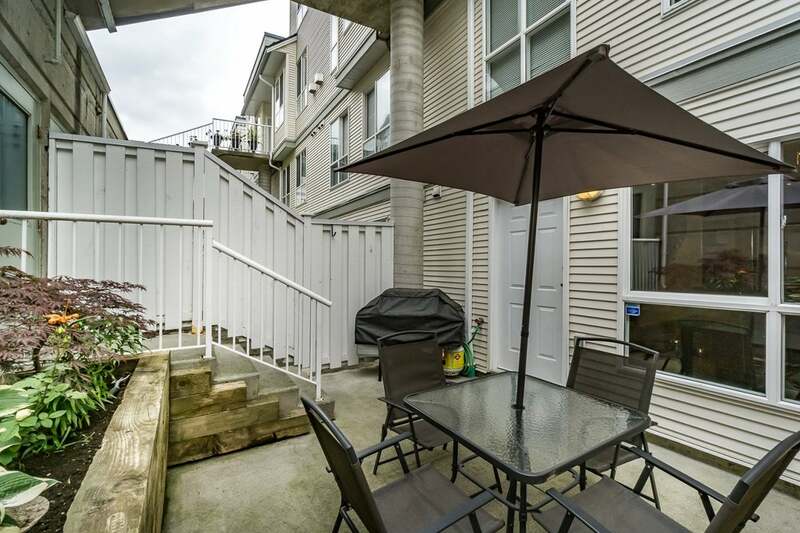 Rarely available south facing street level walk up two storey townhome with park & river views. 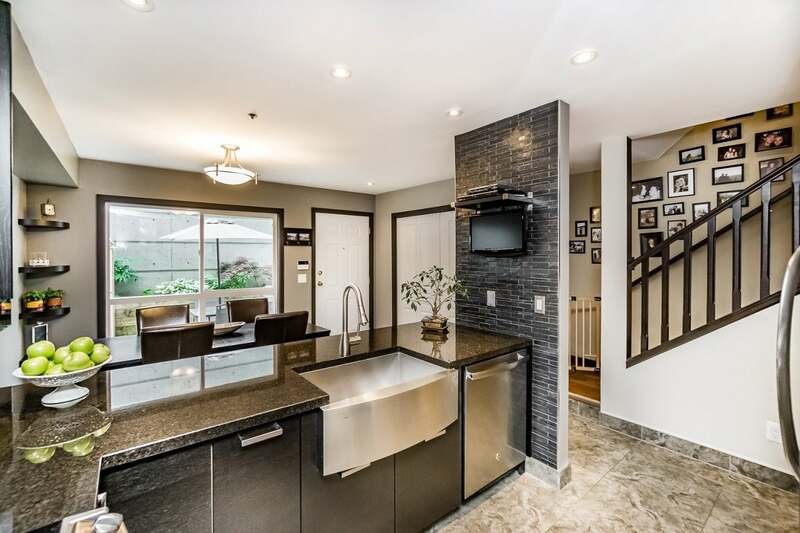 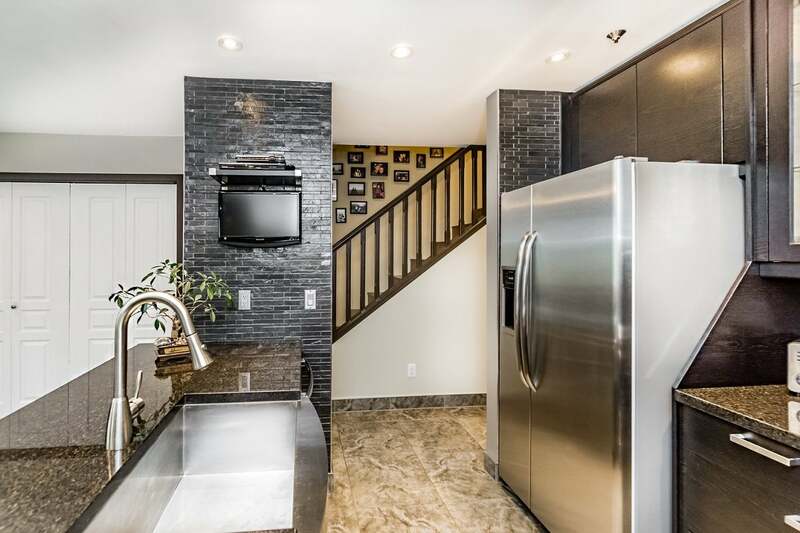 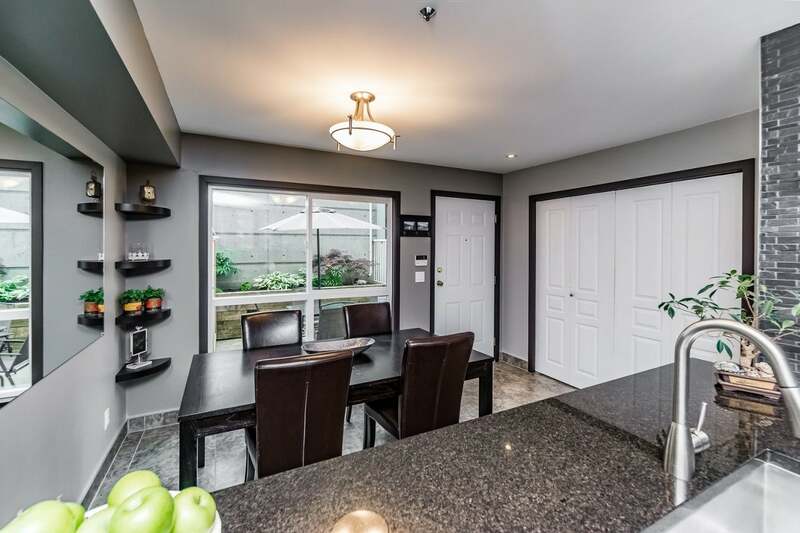 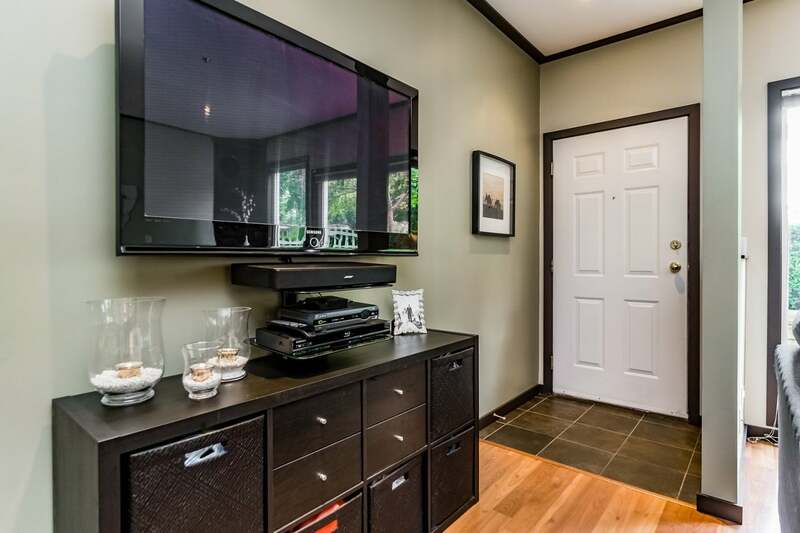 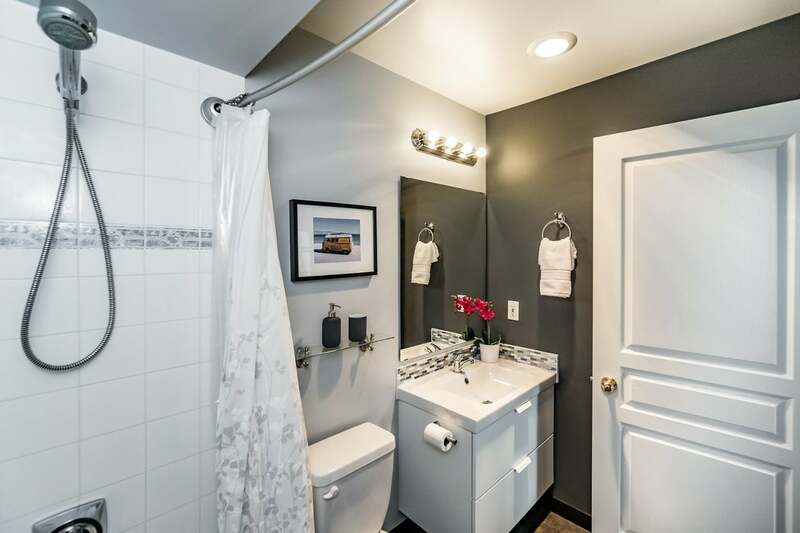 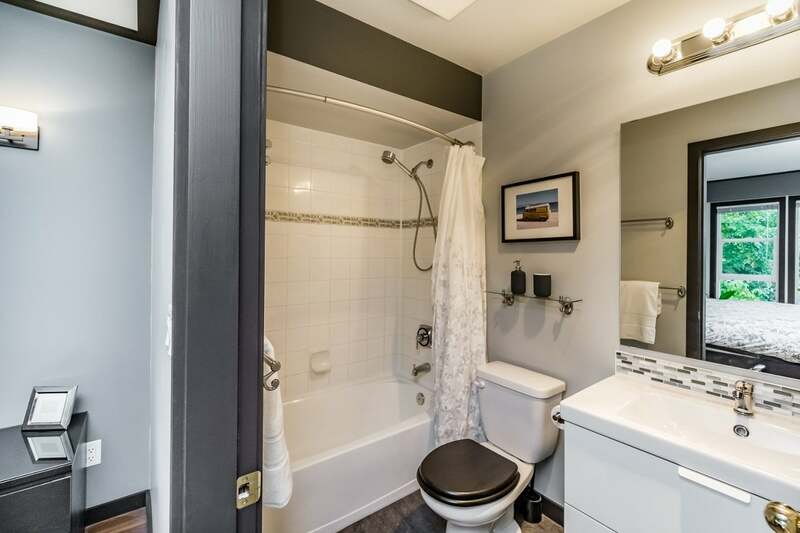 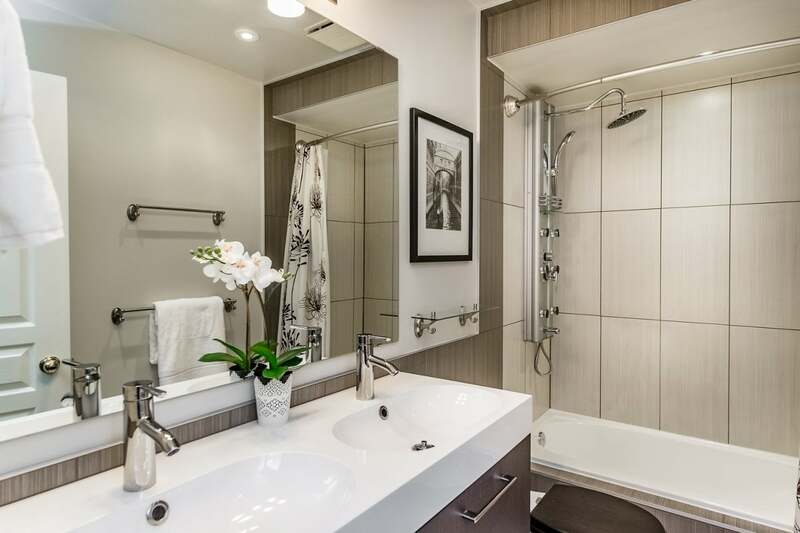 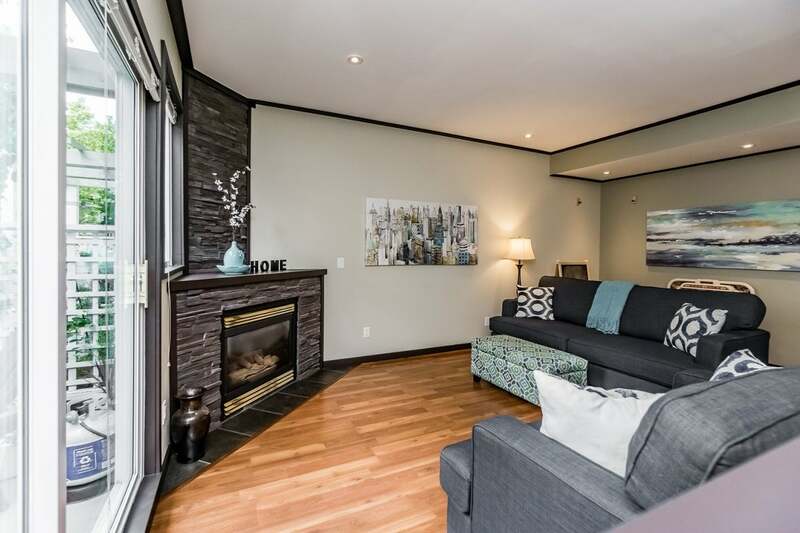 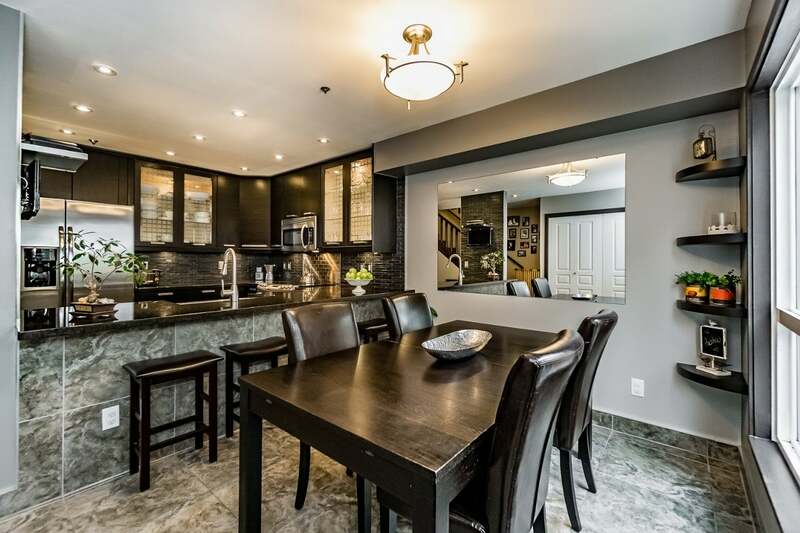 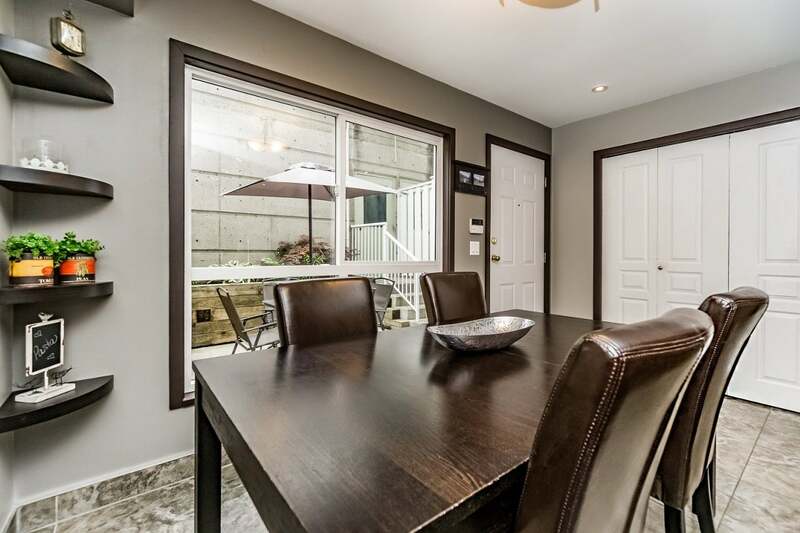 It doesn't get better than this...You will love this renovated 3 bdrm 2 full bath home. 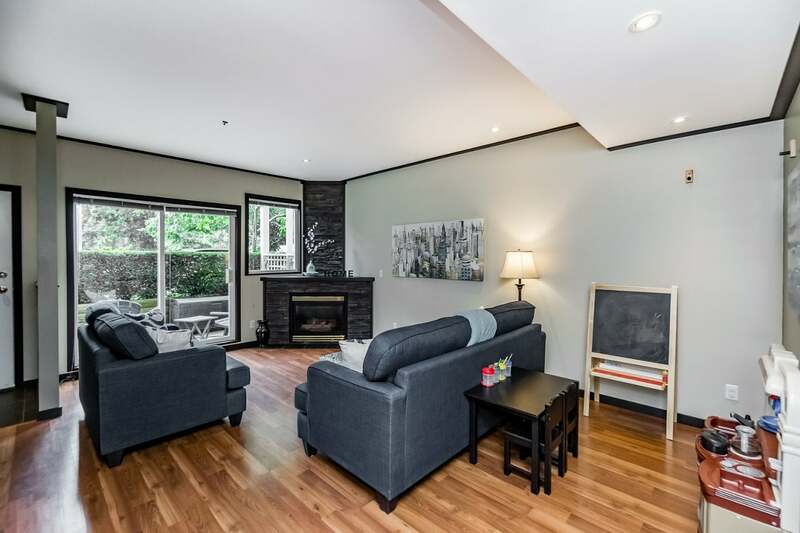 Large living room with over height ceilings, f/p & sliding doors opening to a private south exposed garden patio. 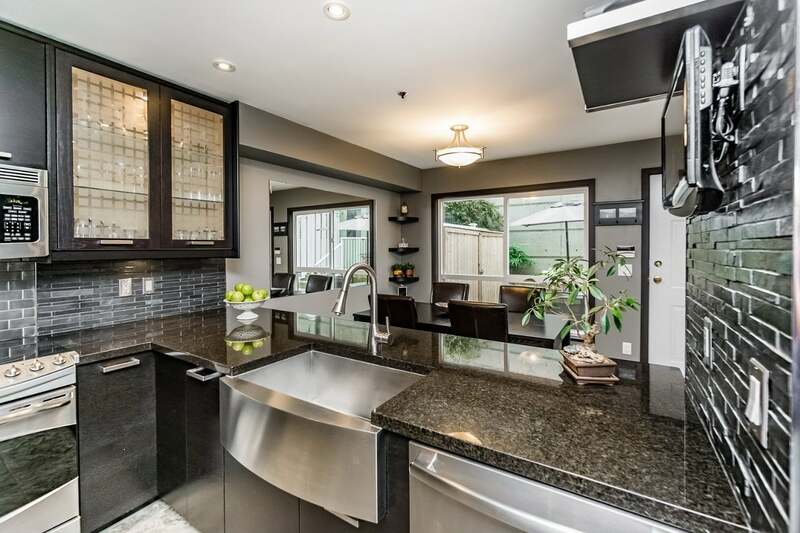 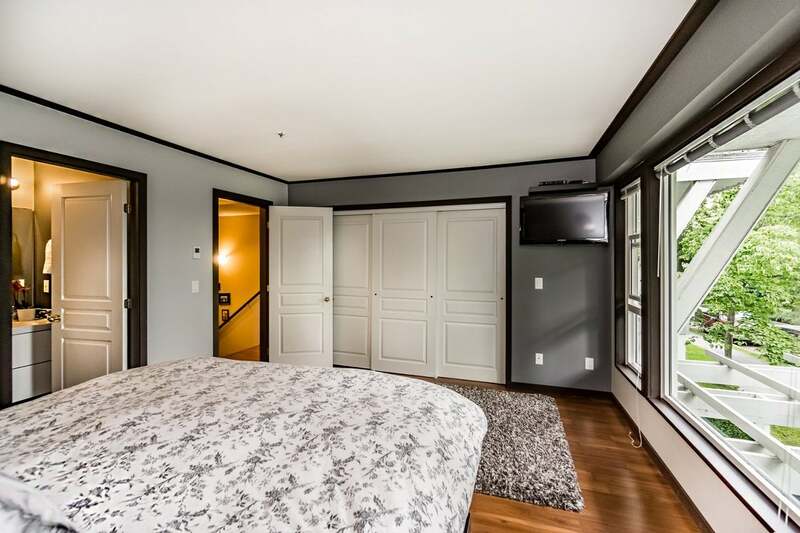 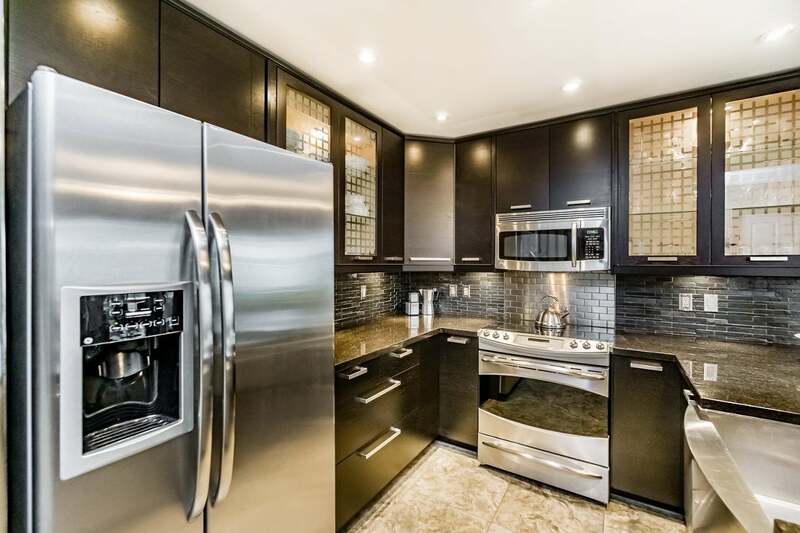 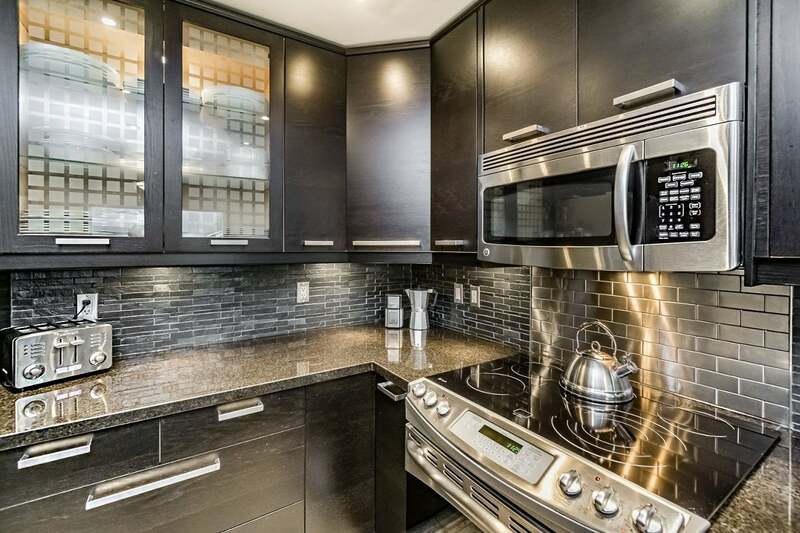 The beautifully renovated kitchen has loads of cabinets, s/s appliances & counter space. 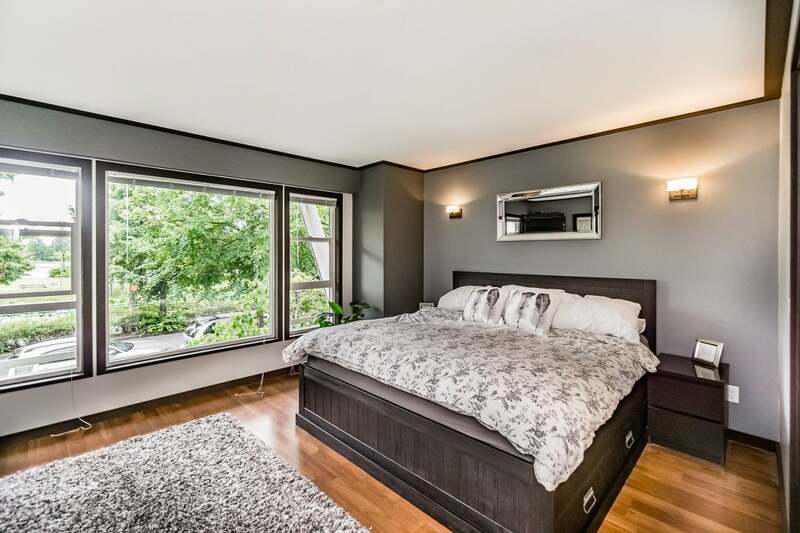 Lovely views from mstr bdrm with reno'd 4 piece ensuite. 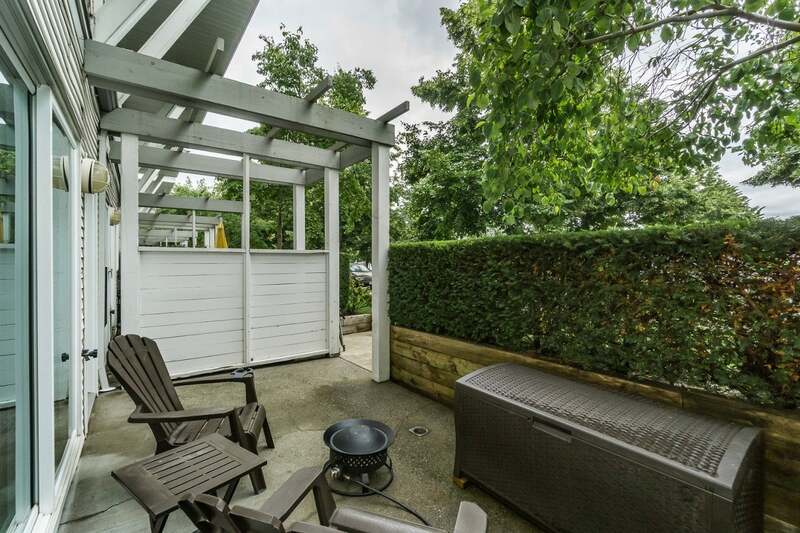 Bonus second patio off the kitchen & eating area with large storage shed. 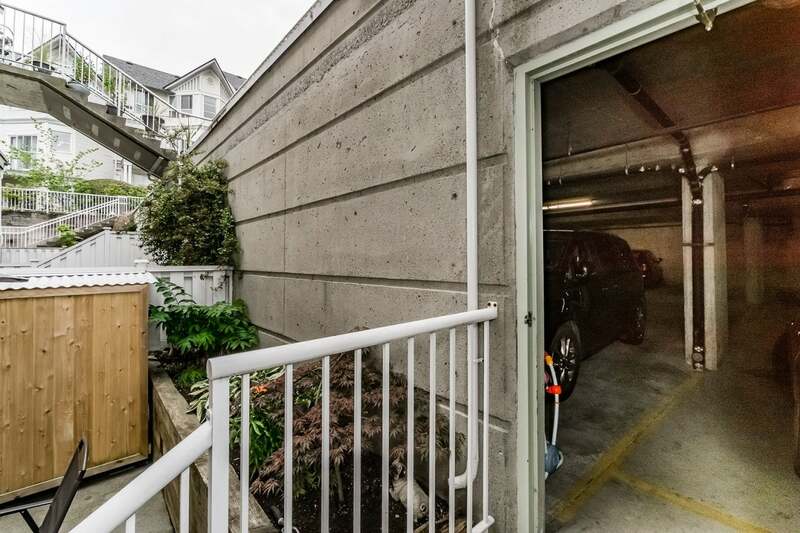 Two side by side parking stalls sit next to the unit's own private entrance. 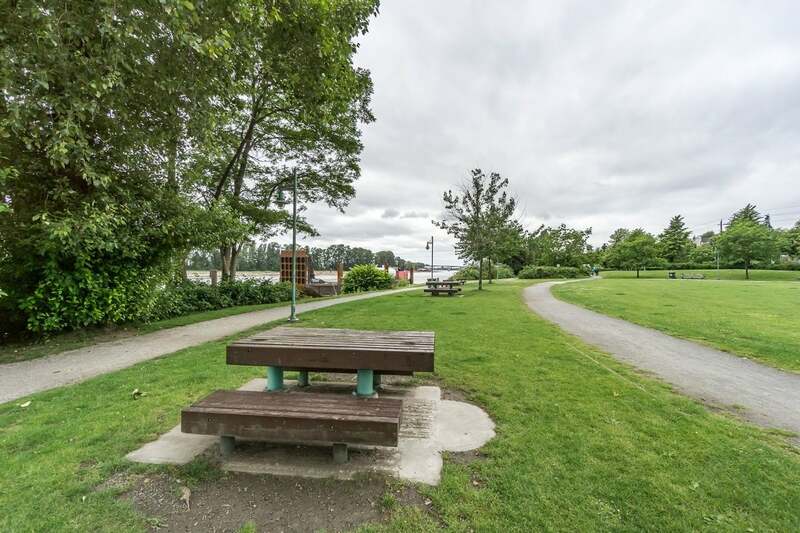 Park, tennis courts, and river walkway promenade all steps from the door. 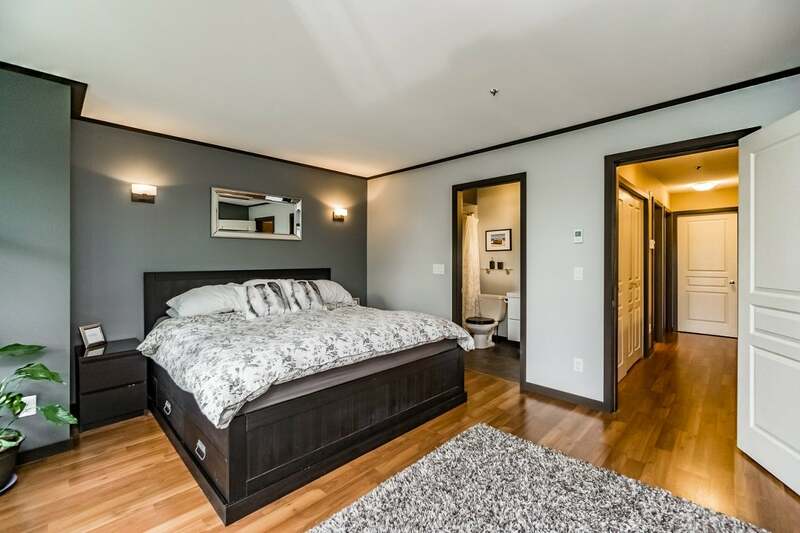 Well run complex. 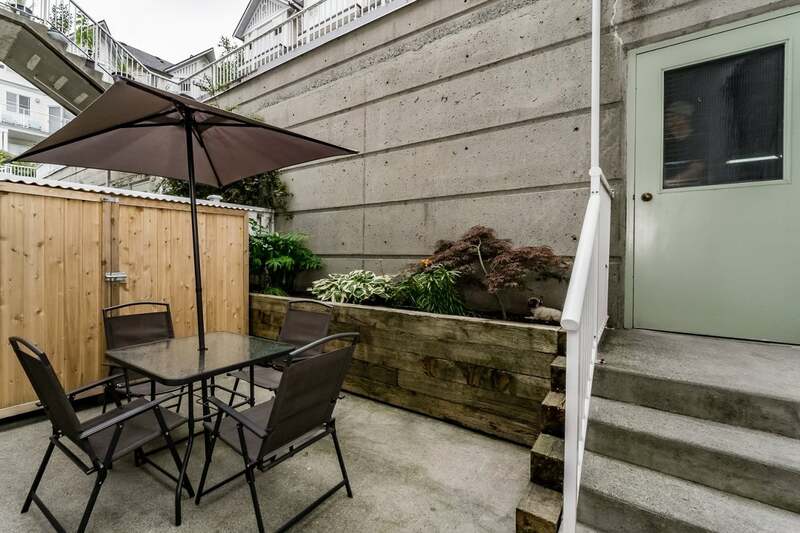 Open House Sat & Sun 2-4pm.